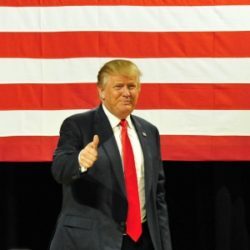 Is God for Trump? - BFL 158 - BLIND FAITH LIVE!BLIND FAITH LIVE ! Real People. Real Miracles. We look for God’s hand in everything. Does He have a favorite in this historically unique election. Dr. Issam Nemeh plainly sees God’s hand in this polarizing time. So, is God for Trump … Hillary? Interestingly, in a year marked by new lows in ugly political nastiness, the song that bubbled up in Philip Keller’s head has us asking ourselves questions about our own ugly silent thoughts. Brian Bielak, age 20, was in the hospital for 27 days with a liver issue that put him on the liver transplant list. 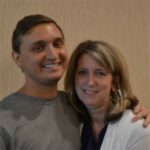 Brian and his mom, Cindy, tell the remarkable story of what happened during just one Skype call. This entry was posted in Dr. Issam Nemeh, Episodes, Philip Keller, Trapper Jack and tagged Immune System, Liver, Prayer, State of Mind by Philip Keller. Bookmark the permalink. This is such an eye opener and a great look beneath the surface on several accounts. So much has been clarified for me in this podcast. I was hoping you would address the political issues. Thank you so much! Dr. Nemeh has spoken of repeatedly about how we will be faced with an examination of conscience and must choose which “side” we will be on. Does he feel the upcoming election is part of this examination? The USA is at the most dangerous turning point it has ever experienced. Are we being judged by the choice we make? Can enough prayers, there are millions praying everyday for Trump, fortify and protect him and our country or will the prevailing attack of active negative, anti-Christian sentiment prevail? It is up to us. We continue to pray that God bless America. He is answering our prayers. This bizarre election tells us so. Dr Nemeh has stated that this is America’s last chance. True Christians have been feeling the slide of our country. It has been speeding up. Here is America’s chance to slam on the brakes. Our examination of conscience should be a daily experience. Prayer and examination will lead each one of us individually and as a country to the right place. With all the chaos in the world these days, it is becoming clear that we are not in control and we cannot save ourselves. I agree with the first comment; Trump is the “man for the moment”. Another stunning and very helpful podcast! You nailed it during the podcast when you clarified Dr. Nemeh’s point that we need to have a pure mind in order for God to answer our prayers. I have never heard that before. You said that yourself and in your interview, you drew out that concept to the point where I clearly get it; I now understand! You honed that point and clarified it so I could understand it. Thank you! Since meeting and getting to know Dr. Nemeh and Kathy, I have worked on purifying my mind and my intent. I have changed a lot because of this and because of knowing the Nemehs. I want my intent and my prayers to mean something for those I pray for. Today, your podcast brought me a step further towards that goal. I love it that Dr. Nemeh spoke of “strange actions” vs internal intent that is pure and contrasted it with external actions vs internal intent that is not pure. Today on the news shows, people are saying Trump is “unfit” for the office of president. As a Canadian, my vote does not count, but I know who I would vote for if I were an American. In this podcast, Dr. Nemeh and you distilled the current swirling media negativity into an understandable form. External action vs internal intent. Clear as a bell and with this, you both have given me another tool to apply my life. It may seem simple, but until you both spoke of these things today, I didn’t fully understand it. I get it now. I am trying to remember to incorporate: “God Bless America, God Bless Canada and God Bless the World” into the beginning of my prayer time. I too often forget, but God knows my intent is there. You touch us with your podcasts Philip. As does Dr. Nemeh, but you know Dr. Nemeh touches us…I’m one voice amongst many expressing that you, Philip Keller, touch us as well. Thank you. Many blessings to you and your family. I am thrilled that Dr. Nemeh has shared all of this with us. I am so happy that Trump has picked a wonderful person for vice president, Mike Pence. Everything is in God’s hands.